Nominations, awards and other honors. 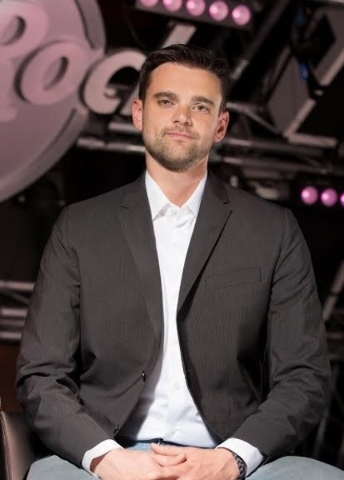 James Reynolds, general manager of the Hard Rock Cafe on the Strip, was awarded company General Manager of the Year for 2015 at Hard Rock International’s recent global conference. Hard Rock selects its top stars from its venues in 68 countries and hundreds of partners worldwide based on financial performance, unique sales accomplishments, community contributions, creativity, strategic marketing, philanthropy, brand loyalty and leadership. Reynolds received this honor after being at the Strip location for six months. Before this, he was at the Hard Rock Cafe Seattle, which won Sales & Marketing Cafe of the Year under his leadership. Las Vegas Philharmonic Guild has won two Roundtable awards in the annual Gold Book competition of the Volunteer Council of the League of American Orchestras. Their winning projects are titled “Runway Rhythms” and “Adopt-A-Musician.” The Guild supports the Las Vegas Philharmonic through fundraising and volunteer opportunities. The award will be presented at the League’s National Conference June 9 – 11 in Baltimore. The annual Gold Book competition recognizes outstanding projects created and implemented by volunteer associations of symphony orchestras throughout the United States and in Canada. OnTrac, the largest regional package delivery company in the country, won the Eggie Award for Best Regional Transportation Partner presented by Newegg. The 12th annual Eggie Awards gala was hosted by Newegg Jan. 7. Each year, Newegg honors its top vendors and partners. Newegg awarded 46 Eggies at this year’s gala. Infinity Hospice Care CEO Darren Bertram was elected to the National Hospice and Palliative Care Organization board of directors. NHPCO, the nation’s largest hospice organization, aims to lead social change and improve end-of-life care. Bertram has been Infinity Hospice Care’s CEO since April 2006; he has served on Infinity Hospice Care’s Governing Board since its founding in 2005. State Sen. Kelvin Atkinson now serves as the Council of State Governments’ 2016 chairman-elect, joining Delaware Gov. Jack Markell, the national president; Nebraska state Sen. Beau McCoy, the national chairman; Kentucky state Sen. Robert Stivers, the vice chairman; and New York state Sen. Carl Marcellino, the immediate past chairman, as the CSG 2016 national leadership team. CSG is the nation’s only organization serving all three branches of state government. Atkinson was first elected to the Nevada State Assembly in 2002. In 2012, he ran for the Nevada state Senate, where he was elected with 80 percent of the votes. He was then appointed by the majority leader of the Senate to lead the Commerce, Labor and Energy Committee. Atkinson is the Democratic whip. He will become council chairman in 2017. Las Vegas Hospitality Association has appointed its board of directors for 2016: Cyndi Martin, Freeman, chairman of the board; Jamie Malloy, Wynn Las Vegas and Encore, president; Michelle Sharples, BASE Entertainment, president-elect; Shannon Trujillo, PSAV, vice president meetings; Kathy Dyke, By Dzign LLC, vice president membership; Lauren Bauer, Shepard Exposition Services, secretary: Bryan Kroten, Maverick Aviation Group, treasurer; and Mary Thomas, MKT Consultants, parliamentarian. Directors include E.J. Cutliff, MGM Resorts International; Kristina Ghiloni, Hello Las Vegas Destination Management; Mallory Maciuszek, Cort Event Furnishings; Kelly Messina, Las Vegas Convention and Visitors Authority; Stacey Purcell, Caesars Entertainment; and Erin Ward, Brooklyn Bowl Las Vegas. The Public Education Foundation’s board of directors named Daniel Giraldo, Bank of America’s senior vice president of enterprise and community engagement in Southern Nevada, to its board, and Chad Harris, co-founder of Las Vegas Billboards, and Tamar P. Hoapili, manager of community relations and video production at Cox Communications. In November, attorney Kimberly Maxson-Rushton was elected to the foundation’s board of directors, which followed the September election of three other new board members, Lt. Gov. Mark Hutchison, state Sen. Aaron D. Ford, D-Las Vegas, and real estate executive Tera R. Anderson. 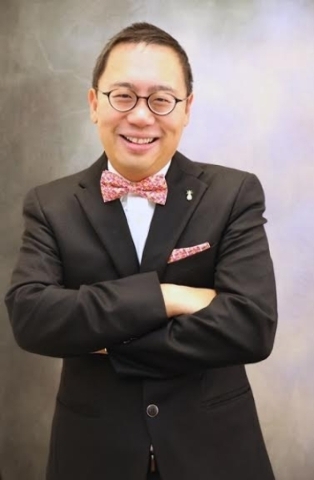 International School of Hospitality Executive Director Timothy M. Lam joined the Nevada Restaurant Association board of directors. He was inducted during a ceremony Jan. 27 during the association’s 33rd annual meeting at Wynn Las Vegas. Three Square Food Bank’s board of directors, led by board Chairwoman Anita Romero of Southwest Gas Corp., has elected new officers. George W. Smith of Bank of America was named board treasurer and Shawn Gerternberger of the University of Nevada, Las Vegas was named board secretary. Other new additions include Dallas E. Haun of Nevada State Bank, Jacqui Krum of Wynn Resorts Development LLC and Judy Stokey of NV Energy.